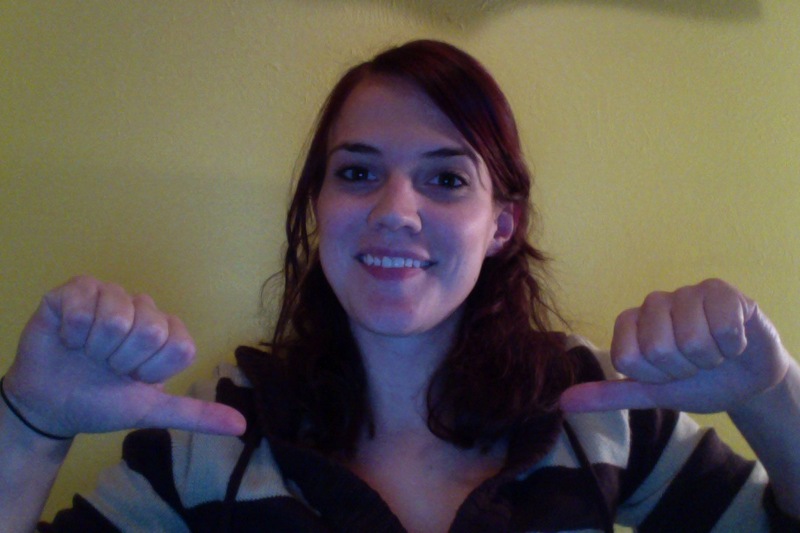 Guess who has two thumbs, a nerdy blog, and doesn’t have to join a cult quite yet because she totally got a job? The following is an actual list I actually wrote while waiting for an actual date a few months ago. I like to think the nervous sweat I was completely drenched in while writing this was totally endearing and not at all smelly. 2) Don’t make that weird spitting noise when you laugh. You know the one. Just… never close your mouth when you’re laughing. No wait, do. Wait. Don’t laugh at all. No wait, do. 3) Maybe don’t nervous laugh every second. 4) Don’t get food in your teeth. Or on your teeth. Or around your teeth. 5) Does your breath smell like ranch dressing?! Does it?! Why did you drink a whole bottle, Stephanie? WHY?! There’s something I need to acknowledge. It’s taken me a long time to accept it about myself, but it’s time for me to come out and admit it. I… am a hot damn mess. – My morning breath is awful. – If I didn’t shave my legs, there’s a distinct possibility I’d be mistaken for a chimpanzee. – I Hulk out when I forget to eat. Not in a cute, green-tinged, cutoff-pants kind of way, but in an incoherent, zero-to-psycho in 3 seconds flat kind of way. – I made three people cry with sarcastic comments… last month. You will be after I’m done with you. It’s been a long time since I’ve been on a date. (If you don’t believe me, read THIS post to find out why, and this one to see why it’s going to be even longer until I get another one.) This is perfectly OK with me, partly because I grew up in a post-feminist society and I don’t need a man to complete me and stuff, but mostly because my life is so nutso right now that the very idea of having a social life is enough to give me stress dreams. My parents also have stress dreams, in which I die sad, alone, and childless.